FacilitiesSpree Guest House is a peaceful property located in the bustling city of Kolkata. It is situated in Sector 3, Salt Lake City. The rooms provided are simple and comfortable. The bright red pillows provided clash beautifully with the dark brown color of the furniture, and the yellow walls and give an air of freshness to the rooms. The rooms are well-lit. 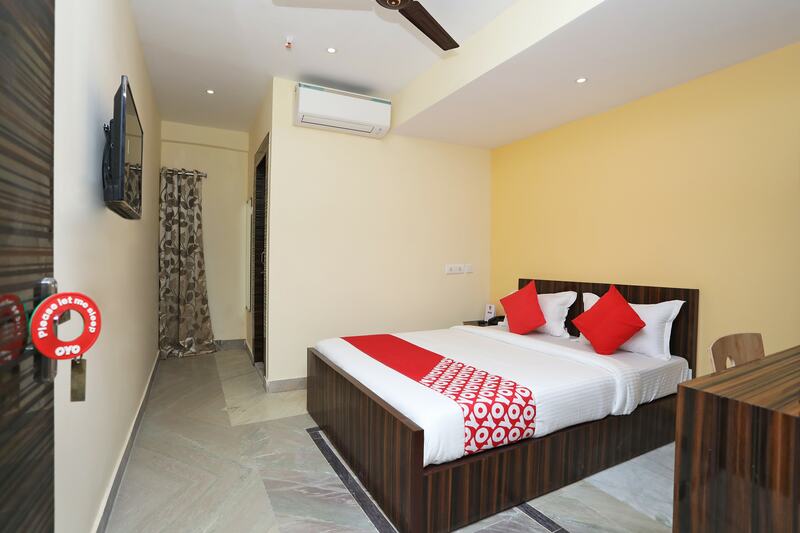 The rooms are equipped with the basic facilities needed. Apart from that, the place also offers free Wi-Fi for the guests to use, and a laundry service for the guests. The place is equipped with CCTV cameras which ensure the safety of the guests. The place is located near famous tourist spots like Nalban Bus Stop, Nicco Park and Central Park. Also, there are a few restaurants close by where the guests can enjoy a lovely meal.